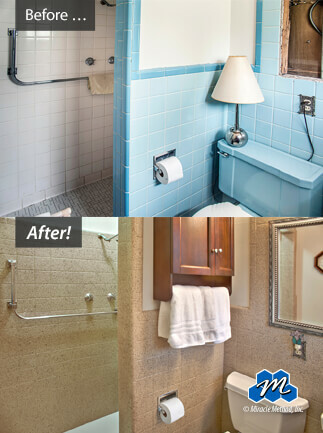 Quick & affordable solutions to make your kitchen and bathroom beautiful again! 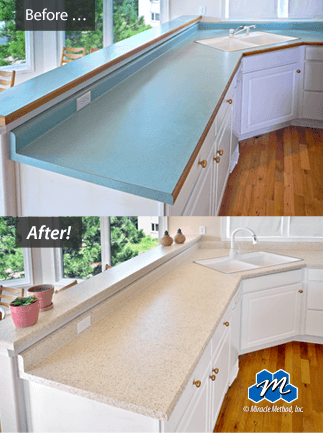 Are you looking to change your countertops? We can transform them in just 2-3 days. Save money and avoid the mess of demolition! Choose from over 30 of our Natural Accents beautiful stone-look finishes. 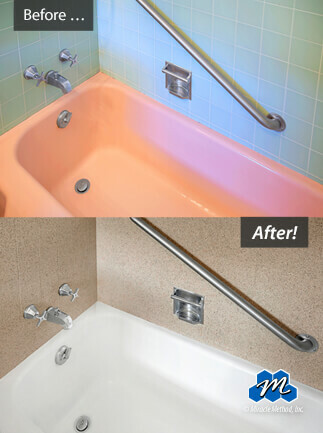 Our refinishing process transforms your existing tub and tile in 24-48 hours! No messy demolition and we save you thousands over the cost of replacement! Do you cringe when you step into your shower? 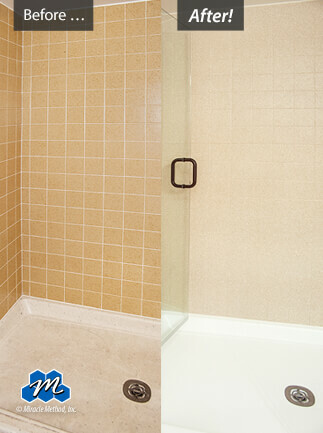 Miracle Method can repair and refinish your tile or fiberglass shower right in place! The results look and feel new. Why rip out your vanity when we can refinish cultured marble, ceramic tile, and laminate? Our designer colors will make your vanity beatiful and we will save you money! No need to replace your ugly, damaged tile. Miracle Method will transform your existing tile and completely seal the grout lines. We make bathing safer by modifying your existing tub, making it easy to step in and out. You save thousands over an expensive walk-in tub and it only takes one day to install. 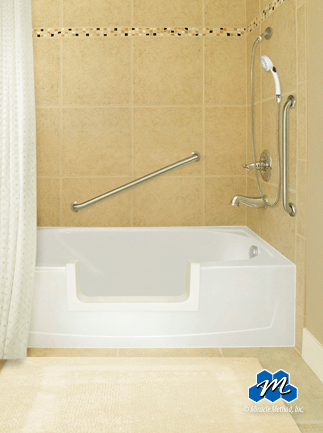 Ask about our packages that may include grab bars, slip-resistant tub surface, hand-held shower nozzle and more!